Exchanging energy products inside the distribution grids, ensuring both integration with existing national markets and profitable monetary returns to prosumers. In most countries, the energy market today is quite far away from end customers, who can hardly access the benefits that were expected from the introduction of national marketplaces. Achieving access and taking benefits of the open market to users and consumers is one of the challenges of the DREAM Project. Unbundling and open market strategies should result in actual benefits to final customers, as well as investment in reduction of losses and optimal use of “classic” and renewable resources. Yet the existing national energy markets are not efficiently accessible to end users and citizenship, so that, for example, the stimulation of energy efficient attitudes has still to rely on tools like rough (and pretty constant over the year periods) energy price bands to consumers. 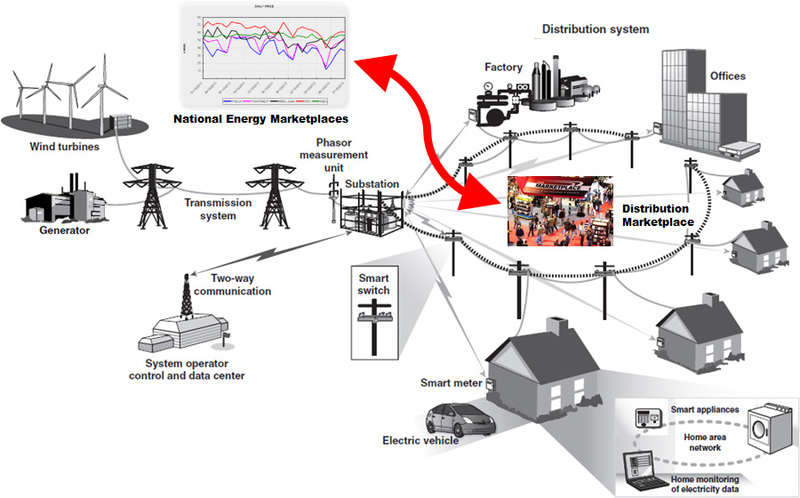 DREAM has worked on an innovative organisational and technological approach for connecting electricity supply and demand. Heterarchical principles, in which coordination is configurable, are used to coordinate users, producers and technical/commercial/financial operators to achieve benefits. These are expected to well exceed the technological investments required to final users. 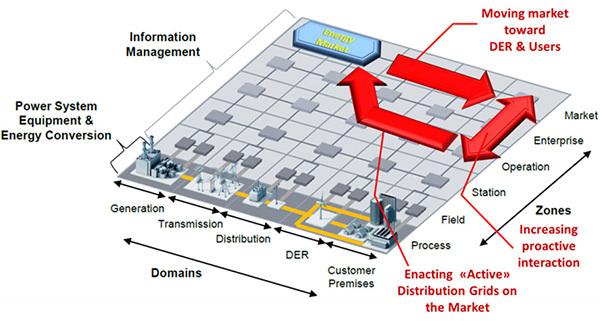 This will be pursued also through the introduction of a new layer in the energy market, placed at distribution level (see picture) and allowing for cost-effective dynamic aggregations of users and local exchange/sales of capabilities (e.g. ancillary services from shed-able loads or from time-flexible use of electric power), while ensuring integration with upper level national energy marketplaces and their international interactions.